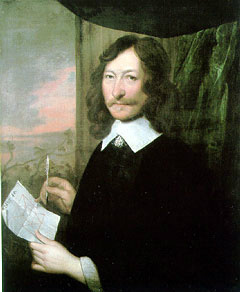 William Lilly published his "Christian Astrology" in 1647. In those times it was a smart sales gimmick to turn astrology into something religious; it promoted the book and made it a success. Today the similar trick is to make astrology scientific, since science is the most fashionable religious faith today. Science is an authority that we don't discuss; once something has been established as "scientific", most people accept it. After all science has given us penicilin, it has flown man to the Moon and created the social media and made it possible for us to SMS and communicate by email. But the nuclear bomb, pollution and uneven distribution of wealth may also be attributed to scientific discoveries. And science is fickle. It keeps changing. So far it has rejected astrology based on arguments from the Newtonian paradigm, according to which everything works in a mechanical way. If science accepts astrology in the future, it will happen, because astrology is in accordance with particle & quantum physics and can be explained with chaos theory. Science in itself does not have any moral values, and a totally worldly view inevitably leads to loss of purpose with life. All in all science is a good servant but a bad master. To throw out religion entirely would to me be like throwing out the baby with with the bathwater. The guidance I receive from the spiritual world is just as important to me as working out astrological statistics. To believe in an after-life makes it possible for a human being to make the necessary sacrifices, which may not benefit him or her in this life, but instead preserves order in society now and in the future and eventually leads to wealth and abundance. The discussion about whether astrology works or not has existed just as long as astrology itself. What if the answer isn't a "Yes" or a "No", but something in-between? All male murderers share a specific "warrior gene" according to science. However, 33% of the male population share the same gene - without becoming murderers. Apparently the "warrior gene" only manifests itself as a "murderer gene", if the male in question has been abused or neglected during his childhood. In other words: It is the environment, which triggers the inheritance. It's not a choice between environment or inheritance. "A recent Unsolved Mysteries aired a segment on astrology, in which an astrologer by the name of Carolyn Reynolds was asked to identify the horoscopes of four serial killers out of a total of 20 astrological charts given to her. Without knowing anything about the people or their charts, Reynolds was able to tell the viewers who the serial killers most likely were. These individuals included such infamous names as Jeffrey Dahmer, the Son of Sam, David “The Night Stalker” Ramirez, and Ed Kemper. All four of her predictions proved to be correct." My own research indicates that astrology isn't perfect, but if the skilled astrologer is presented with a limited options like in the above example, he or she can be very precise. Like: "Who does this male ressemble the most: Albert Einstein or Arnold Scharzenegger?" Most astrologers will be able to answer this question correctly. With a highly specialized category (like e.g. top athletes) my astrological tools can narrow down the most likely members of the category to 10% of the population (even though the category comprises less than 1% of the population); and with a less specialized group the number might be 60-70%. It does not sound like a lot, but in a client session, where other factors play a role, it is sufficient to make the client satisfied. While astrology and astrologers have been routinely attacked and criticized by members of the established scientific institutions the previous years, the same has not happened to psychology and psychiatry, probably because they are generally viewed as more "respectable" disciplines. This situation has changed this autumn, when Jupiter entered Virgo and Saturn entered Sagittarius, from where they challenge Pisces, representing psychology and psychiatry. Jupiter came from Leo, and Saturn came from Scorpio, from where they had challenged Aquarius, which represents (among other things) astrology. Jupiter stays in a sign for 11 months on average, while Saturn stays in sign approximately 2.5 years. Jupiter and Saturn are the giants in our solar system, and they have great influence on the matters, which are under debate at any given moment. At The Guardian you can read an article about how the medical company SmithKline Beecham is responsible for several suicides among young people. The company produces and sells the antidepressant drug Seroxat (also known as Paroxetine), which according to tests do not benefit young people with depressions, but instead encourages suicide thoughts. According to Danish professor Peter Gøtzsche in a Danish article in MetroXpress the drug has the same negative effect on adults. The scandal is that SmithKline Beecham has known about the drug's negative potential since 2001 - and nevertheless continued to market and sell it. Project MKUltra, in which CIA experimented with using drugs to break down individuals - with the collaboration of psychologers and psychiatrists. American Psychological Association Assistance in Interrogation/Torture. Of course you can also find dramatized examples of abuse of psychology and psychiatry, like the movie "One Flew Over the Cuckoo's Nest" from 1975 with Jack Nicholson as the protagonist. Why are psychology and psychiatry abused? They were meant to be healing, right? To me the explanation is easy to see: Psychology and psychiatry are based in a rational, scientific and materialistic paradigm, according to which the soul doesn't exist except as a biproduct of the body's chemistry. Astrology is - according to Richard Tarnas - based in "romantic" paradigm, in which the soul exists as an independent entity, which can survive the body's death. According to this paradigm it does not make sense to treat a disorder in the soul with chemistry or surgery. Other remedies are needed here, like meditation, hypnosis or healing. I don't recommend going back to exorcism, but I know for certain that sending out positive thoughts or giving love while being in a dialogue with the patient do have a beneficial effect on him / her.